Waterbirth Island is a small island off the coast of Rellekka, along with Neitiznot, Jatizso, Miscellania and Etceteria. 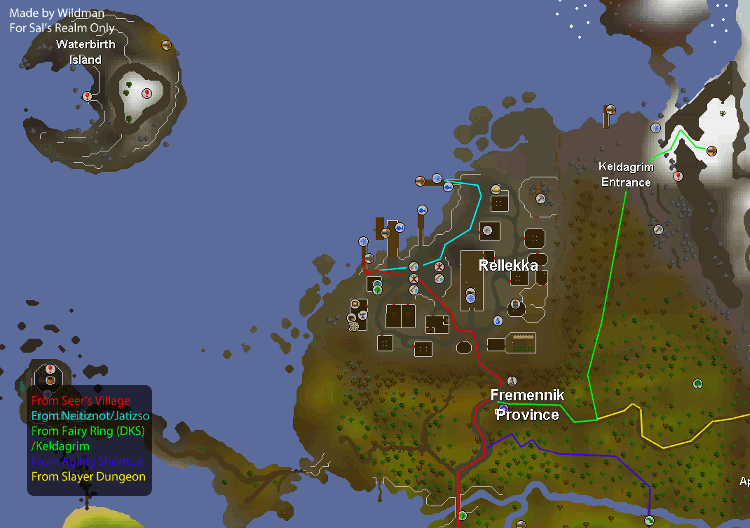 It is home to the Dagannoth dungeon, a multi-layer dungeon where players can fight the three Dagannoth Kings, and the entire island is littered with Snape Grass and Rock Crabs, making it an ideal place to collect the secondary ingredient for Prayer Potions and to train combat. 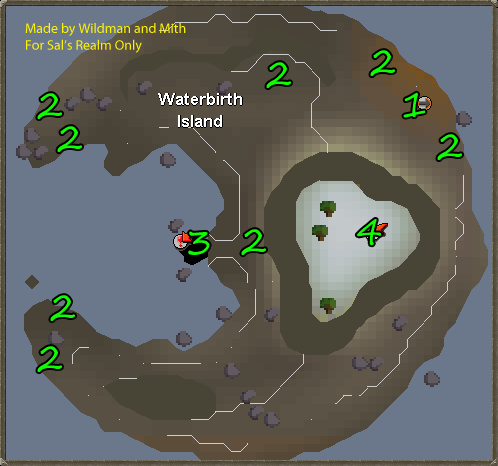 The only way to travel to Waterbirth Island directly is by using Waterbith Teleport, which is in the Lunar Spellbook and requires 1 Law Rune, 1 Water Rune, 2 Astral Runes and Level 72 Magic. If you can't cast this spell, or just don't want to, the only way to reach Waterbirth Island is by talking to Jarvald, in Rellekka. Travel to Seer's Village by either walking or teleporting, and follow the road west, and then north. 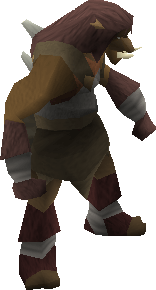 Then head to the Marketplace in Rellekka and talk to Jarvald. Talk to either Mord or Maria Gunnars to return to Rellekka, and head south to find Jarvald. Head down the mountain, and head south until you reach the dirt track. Then head west into Rellekka, and then follow to map to reach Jarvald. This is just a simpler and quicker way from Seer's Village. After you cross the log, follow the road into Rellekka and head southwest from the Marketplace to Jarvald. Simply go west, following the road, and then follow the map to Jarvald. 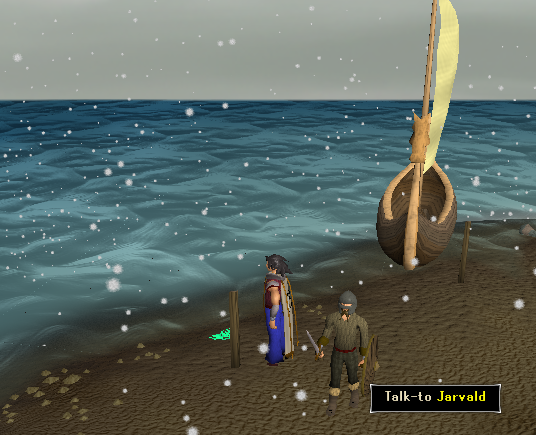 Speak to Jarvald to leave Waterbirth Island and return to Rellekka. You will also appear here if you talk to Jarvald in Rellekka. 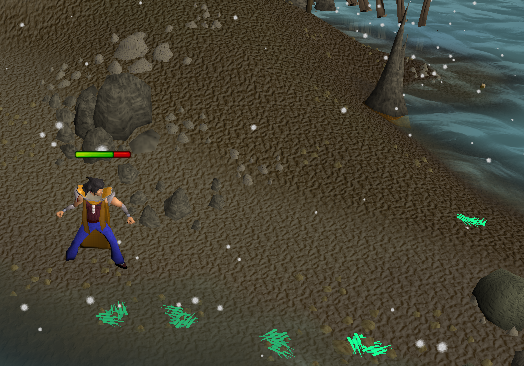 These are used in making Ranarr Potions, and can be found in many places around the island shore. The places marked on the map with two 2s have at least 4 Snape Grass respawns. 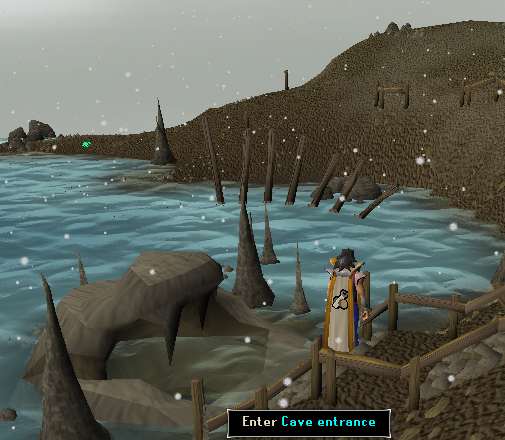 The dungeon of the Dagannoth Kings. When you enter the dungeon, you will be on the west side, away from the Dagannoths. 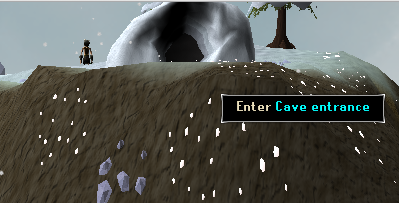 If you go up the ladder in the Dagannoth's area, you will appear here.